IARC Is Changing Its Preamble But Will That Mean A Change In Its Credibility? In 2015, the American Council on Science and Health joined every reputable science body in being critical of yet another International Agency for Research on Cancer (IARC) monograph. 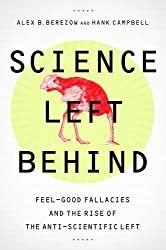 In recent years they had become prone to selectively choosing studies to include in their analyses, almost as if they predetermined a conclusion and then found studies to match it. In March of that year, the latest head-scratcher was about a compound known as glyphosate, a popular herbicide of moderate toxicity that had been used safely without issue for decades and been re-registered by the U.S. EPA many times. Though there was no evidence of any harm (in humans, weeds hate it) the IARC Working Group declared it "Group 2A: The agent is probably carcinogenic to humans" in Monograph 112. 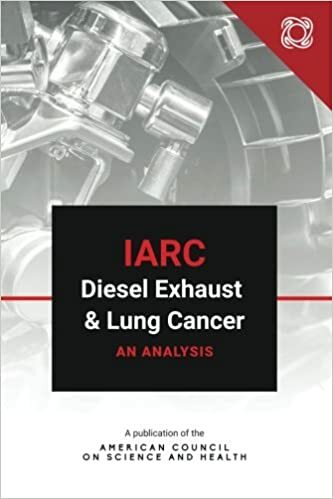 When we published IARC Diesel Exhaust and Lung Cancer: An Analysis in November of that year, I noted one example of a problem IARC had created for its credibility: that Dr. Chris Portier had been able to get Working Group rules changed so that you could not be included if you had consulted for industry. This was odd. In diesel engineering, if you have never been paid to consult, sorry, you are just not very good at your job. The only people left for a working group after you eliminated the best experts were a small cadre of academics who were going to be choosing papers from a very small pool, many of which they wrote or peer-reviewed. Yet if you happened to have consulted for an activist group, like Environmental Defense Fund, you were still allowed to serve. IARC had declared the only relevant conflict of interest to be financial - and only if for-profit corporations were writing checks for consulting. Ideological conflicts of interest or working for Environmental Defense Fund, as Dr. Chris Portier had done, were still allowed. Portier achieved all this despite having no expertise or experience with glyphosate or even toxicology. He is just a well-connected statistician. There was just one problem. As artfully as anti-science groups have mastered closing ranks around their claims on the Internet, with numerous fake accounts on Twitter and websites like Sourcewatch devoted to smearing the work of academics, the other side got to do depositions also. 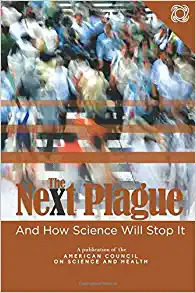 Portier is an expert in mastering bureaucracy, he had wormed his way through EPA and IARC without raising alarms despite showing numerous red flags in hindsight, but he knew he could not lie under oath. He could pretend not to know answers - it was hilarious when opposing counsel had to remind him he made $160,000 to read some email while claiming he couldn't recall how much money it was - but he could not lie. And then it was further revealed that the IARC Working Group: had intentionally excluded papers that debunked their conclusion; deleted six comments concerned about the lack of a link between glyphosate and cancer(3); cited studies in animals concluding glyphosate was not carcinogenic as "sufficient" evidence of glyphosate as a carcinogen (no, really! ); and the committee drastically edited the chapter on glyphosate animal models after its final draft. And that is just what we know about so far. We don't know the extent of the flaws or outright manipulations because of a confidentiality order and the 16 scientists asked aren't talking. Only 5 even bothered to reply to questions about why the deletions were made, and their reply was just to say "no comment" and inform the public that IARC had told them they didn't have to be transparent about anything. Well, that confidentiality order, and unwillingness to be transparent about how this paper was manufactured by IARC, is not flying with the U.S. Congressional Committee On Science, Space, And Technology. They have issued a warning letter to the Director of IARC, Dr. Christopher Wild in France, letting him know that if they are not going to be transparent, the funding for the program, some $48 million to-date, could be in jeopardy. The money is not the issue, of course. France and Germany hate American science to irrational levels so they will happily make up the funding gap if the group continues to produce work that matches the ideology of their environmental groups, it is instead about credibility. The United States leads the world in Nobel prizes, science output and adult science literacy. If the U.S. government declares a World Health Organisation group invalid, California environmentalists and trial lawyers will no longer be able to use them for legitimacy. They will be the Cuba of the science world. The Committee has asked IARC to provide the names and contact information for individuals who will surely be called upon to testify about this unethical behavior. They have one week to comply. Dr. Wild would be wise to listen or else, as I noted in It's Time To Stop Using Simplistic Hazard Classifications For Carcinogen Claims, they may find themselves replaced by a group that wants to do science and not activist good works. (1) It really adds up when you can "bill" the attorney for 19 hours to look at an email. (2) Though environmentalists have gotten millions from the Kremlin in order to undermine America in food and energy, laundered through offshore foundations like SeaChange, they deny involvement with Russia Today, but the group has been banned from advertising on Twitter because that company sees what Organic Consumers Association and Mother Jones pretends to deny in order to keep the money coming in. (3) They were strangely replaced with the statement, "The Working Group was not able to evaluate this study because of the limited experimental data provided in the review article and supplemental information."